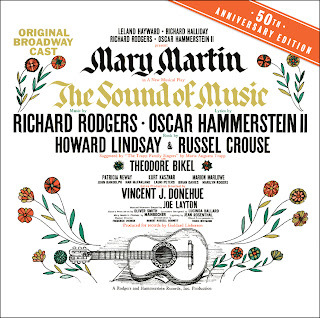 The Sound of Music first debuted in 1959 at Broadway's Lunt-Fontanne Theater. It was the last musical collaboration of Richard Rodgers and Oscar Hammerstein II. Most of us though have only seen the movie version starring Julie Andrews. 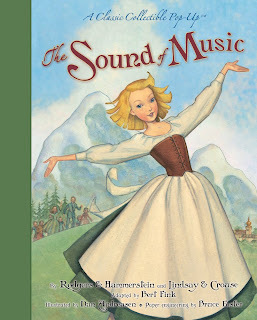 In November 2009, the 50th anniversary was celebrated by the release of The Sound of Music Original Broadway Cast Recording and a classic collectible pop-up book. I was so pleased when I was asked to do a review. The music is as adoring as ever. It's so wonderful to be able to listen to the songs as they were first meant to be heard. I love these songs, they are just so much fun to sing along to! * A soaring cover version of "Climb Ev'ry Mountain," sung in Swedish (as "Sök dig till bergen") by Tommy Körberg, best known to American audiences for his vocals on the concept album of Chess. And the pop-up book - OH MY GOODNESS! At first I thought I'd review it and give it to my daughter. Ummm, nope. I'm totally being selfish. This book is all mine and it is gorgeous. I love it. The intricate detail is beyond anything I've ever seen in a book. These are great editions to any home library. You can't go wrong by buying them. Children adn adults of all ages will enjoy the songs and the pop-up book. You can buy the CD at Amazon and iTunes and the book at Amazon.